The process of overbidding to buy a home, whether it's a foreclosure or a regular home, is often very confusing to buyers. Part of the reason buyers are confused is that they might think the price of a home is the value of the home. The truth is the asking price, the eventual sales price and the market value can all be 3 different numbers and often are. When a bank-owned home comes on the market as a foreclosure home, it can attract many buyers for that home if it's priced attractively. Say, for example, the bank wants to sell the foreclosure for $250,000. The bank might price that home at $240,000, hoping that buyers will easily see the home is priced far less than it is worth and be drawn like moths to a flame. Underpricing is one way a bank can get multiple offers for a foreclosure home. The problem that can arise is sometimes agents don't do a very good job explaining to potential buyers why underpricing occurs and how to make underpricing work for the buyer's benefit. After all, the buyer probably just wants to buy a foreclosure home. But it's more complicated than that. First offer to buy a foreclosure: slightly under the asking price. That's because the buyer is first and there are no other offers on the table. 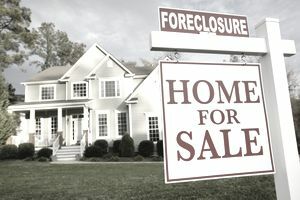 Second offer to buy a foreclosure: at the asking price or $1,000 or so above. That's because the buyer figures the first buyer offered full price, even when the buyer did not. The third offer to buy a foreclosure: quite a bit above the asking price. That's because the buyer wants to beat out the first and second buyer. The fourth offer to buy a foreclosure: above the asking price but it could tie with #3. That's because the buyer is hoping the third buyer might back out. The fifth offer to buy a foreclosure: above list price with a hefty earnest money deposit and a shortened inspection time. This is often the buyer who really wants the home. The sixth offer to buy a foreclosure: a little bit below list price but all cash. This buyer thinks her offer is golden. Maybe she's right; maybe she's wrong. There are advantages to paying cash to buy a home. By the time the bank receives 7 or more offers, these offers can be all over the board. Some low, some high and some are incomplete. It might seem as though everybody and their uncle are throwing offers at the bank. The listing agent represented the buyer and purposely, although it is generally against the law in most states, pushed her own buyer's offer to the top of the pile while downplaying the other offers. Not every real estate agent is an ethical agent. The home required extensive work, which was revealed during a home inspection. Sometimes buyers can ask the bank to lower the price to reflect a newly discovered condition. The buyer might have offered a price that was too high to be substantiated by an appraisal. In that event, generally, a bank will lower the price to match the amount of the buyer's appraisal. A low appraisal is the most common reason.